Peg inverter (180 degrees) piece? I'm still refining my sailboat, piece by piece. 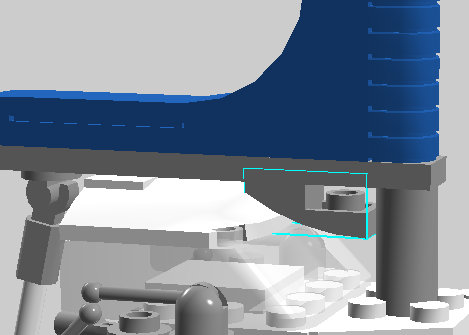 Is there any piece that will allow one to invert the orientation of pieces? i.e. peg pointing downward. Ideally, I'm looking for a 1x1 plate that has pegs on both sides. 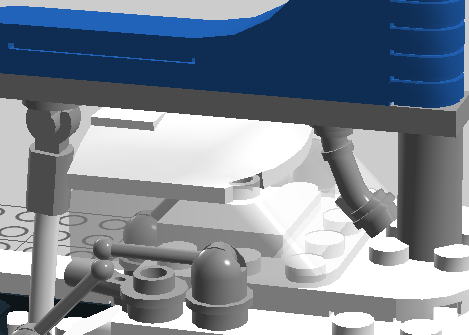 So that I can attach an antenna to the underside of my model. Could you use the 1x1 round plate with a hole in it and then use a bar for the antenna? Well, I want the antenna to hinge, so a bar won't do. This is ultimately what I'm trying to accomplish. It doesn't have to be mini-antennae but they'd be perfect. 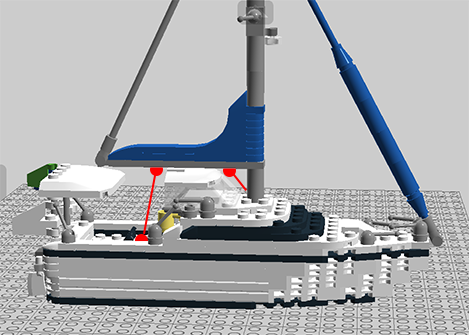 If I could use some other parts - as long s it makes the suggestion, it might be OK.
have you looked at official boat models? maybe you are just over-complicating things? This actually works, but it's a bit clunky. And it won't fit in the other spot (the boom vang), next to the mast. Heh. I started off with it being real simple. But as I find more bits, I'm adding them. If they don't work out I'll ditch em. vang3 sort of works, but it too as a bit clunky. 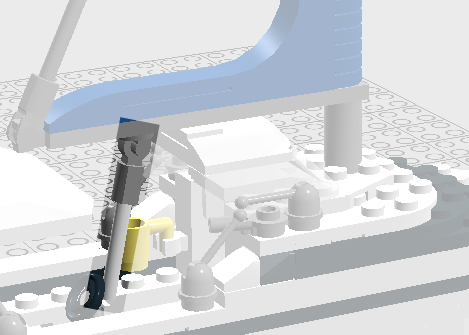 vang4 might work, if I cheat a little and bend the sprue at an angle. Now all I have to do is determine that it actually exists! Yes it exists, but only in chrome silver and metallic silver. It's also not cheap. Heh. Money stopped being a factor a ways back. Certainly around the time I started designing and 3D printing custom parts. Yes, I found that one. Thx. It'll be my fallback. Yeah but too much of that is cheating. 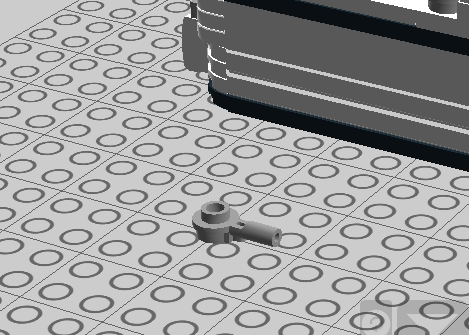 So far, I've only cheated by making parts that the model looks dreadful without - namely slopes. Nothing ruins a sailboat like having a jaggy prow or jaggy windscreen. And none of the premade boat forms or windscreens work, so I took existing ones and just added (er- subracted) a slope.